In this paper, the sampled-data state estimation is investigated for a class of neural networks of neutral type. By employing a suitable Lyapunov functional, a delay-dependent criterion is established to guarantee the existence of the sampled-data estimator. The estimator gain matrix can be obtained by solving linear matrix inequalities (LMIs). A numerical example is given to show the effectiveness of the proposed method. Over the past decades, considerable attention has been devoted to the study of artificial neural networks due to their extensive application in signal and image processing, pattern recognition, and combinatorial optimization [1, 2]. Numerous models of neural networks such as cellular neural networks, Hopfield-type neural networks, Cohen-Grossberg neural networks, and bidirectional associative memory neural networks have been extensively investigated in the literature [3–7]. In recent years, the state estimation problem has been a hot topic because of its great significance to estimation of the neuron states through available output measurements. Many results have been available. For example, the state estimation problem for delayed neural networks was discussed in . Huang and Feng investigated the state estimation of recurrent neural networks with time-varying delay. A delay-dependent condition was derived to guarantee the existence of a desired state estimator [9, 10]. 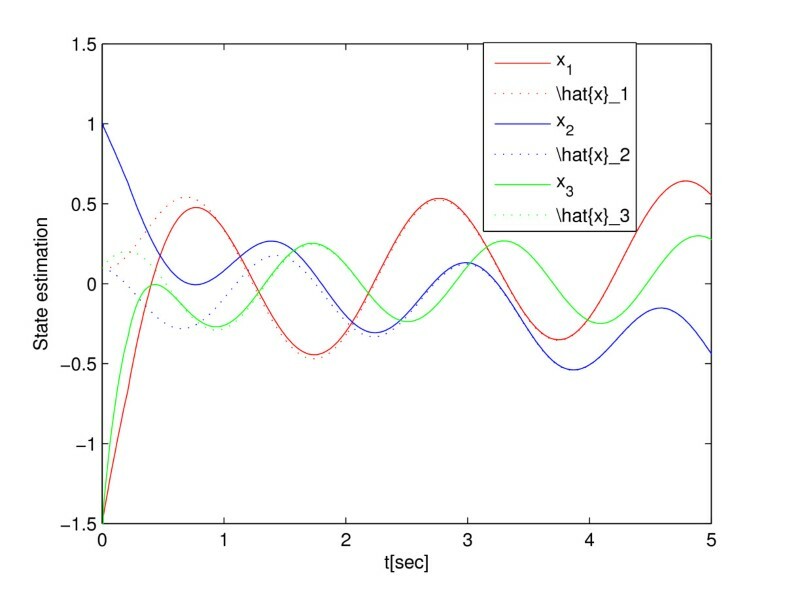 By constructing a Lyapunov-Krasovskii functional and using a convex combination technique, the exponential state estimation for Markovian jumping neural networks with time-varying discrete and distributed delays was investigated . The state estimation of discrete-time neural networks and fuzzy neural networks was studied in [12–15]. Recently, the state estimation problem of neural networks of neutral type has motivated a great deal of interest. Park et al. 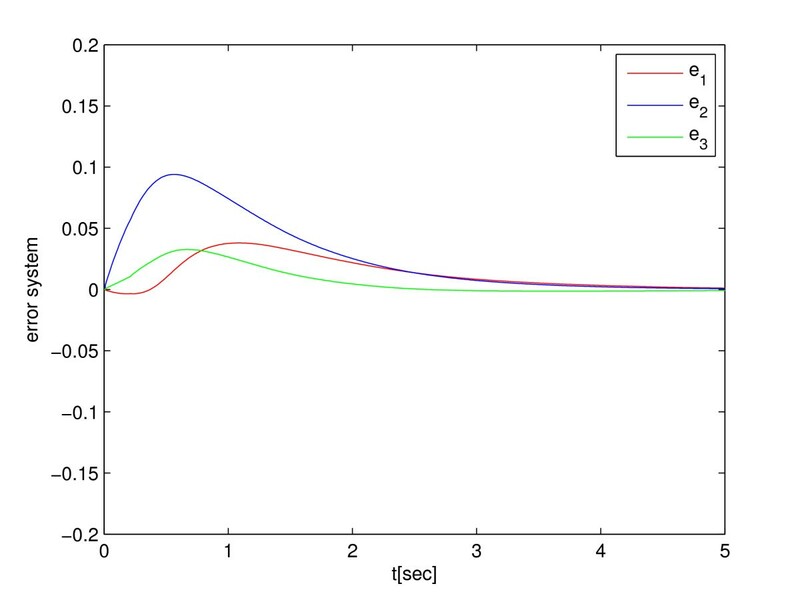 investigated the state estimation of neural networks of neutral type with interval time-varying delays [16–18]. A delay-dependent condition was proposed for neural networks of neutral type with mixed time-varying delays and Markovian jumping parameters . At the same time, the sampled-data state estimation of neural networks has gradually caused researchers’ concern with the development of computer hardware technology. For instance, Hu investigated the sampled-data state estimation of delayed neural networks with Markovian jumping parameters , and in  the sampled-data state estimator was designed for Markovian jumping fuzzy cellular neural networks with mode-dependent probabilistic time-varying delays. In order to effectively deal with the sampled-data, the author investigated the sampled-data state estimation of neural networks by using a discontinuous Lyapunov functional approach [22, 23]. It is worth mentioning that the approach to estimate the neuron states through the output sampled measurement needs less information from the network outputs, which can lead to a significant reduction of the information communication burden in the network. To the best of our knowledge, the sampled-data state estimation of neural networks of neutral type has not been investigated so far. Motivated by the above discussion, in this paper, we aim to deal with the sampled-data state estimation problem for neural networks of neutral type. By utilizing Lyapunov functional, Jensen’s inequalities and Schur complement, a delay-dependent criterion is given to guarantee the existence of the state estimator of neural networks of neutral type. The estimator gain matrix can be obtained in terms of LMIs. The organization of the rest is as follows. In Section 2, the problem is formulated and some lemmas are introduced. In Section 3, some sufficient conditions are given to guarantee the existence of the sampled-data estimator. An example is given to exemplify the usefulness of our theoretical results in Section 4. And in the last section, Section 5, we give some conclusions. 0 < h ( t ) ≤ h ¯ , h ˙ ( t ) ≤ h D , 0 < d ( t ) ≤ d ¯ , d ˙ ( t ) ≤ d D < 1 .
where F ∈ R n × n and G ∈ R n × n are the known constant matrices. where t k denotes the sampling instant and satisfies lim k → ∞ t k = ∞ . Assumption 2 For k ≥ 0 , there exists a known positive constant τ ¯ such that the sampling instant t k satisfies t k + 1 − t k ≤ τ ¯ . ϕ ( t ) = f ( x ( t ) ) − f ( x ˆ ( t ) ) , φ ( t ) = g ( x ( t ) ) − g ( x ˆ ( t ) ) . u ( t ) = K C e ( t k ) = K C e ( t − τ ( t ) ) , t k ≤ t < t k + 1 .
where τ ( t ) satisfies 0 ≤ τ ( t ) ≤ τ ¯ . The following lemmas will be used in deriving the main results. − ∫ 0 b x T ( s ) Q x ( s ) d s ≤ − 1 b [ ∫ 0 b x ( s ) d s ] T Q [ ∫ 0 b x ( s ) d s ] . [ Ω 1 Ω 3 T Ω 3 − Ω 2 ] < 0 . In this section, we derive a new delay-dependent LMI criterion for the existence of state estimator (2) for neural networks (1). and then the estimator gain can be designed as K = P − 1 X .
V 1 = e T ( t ) P e ( t ) , V 2 = ∫ t − α h ( t ) t e T ( s ) Q 1 e ( s ) d s , V 3 = ∫ t − h ¯ t ∫ s t e ˙ T ( θ ) Q 2 e ˙ ( θ ) d θ d s , V 4 = ∫ − τ ¯ 0 ∫ t + θ t e ˙ T ( s ) Q 3 e ˙ ( s ) d s d θ , V 5 = ∫ t − h ( t ) t φ T ( s ) Q 4 φ ( s ) d s , V 6 = ∫ t − h ( t ) t e T ( s ) Q 5 e ( s ) d s , V 7 = ∫ t − h ¯ t e T ( s ) Q 6 e ( s ) d s , V 8 = ∫ t − d ( t ) t e ˙ T ( s ) Q 7 e ˙ ( s ) d s .
V ˙ 8 = e ˙ T ( t ) Q 7 e ˙ ( t ) − ( 1 − d ˙ ( t ) ) e ˙ T ( t − d ( t ) ) Q 7 e ˙ ( t − d ( t ) ) V ˙ 8 ≤ e ˙ T ( t ) Q 7 e ˙ ( t ) − ( 1 − d D ) e ˙ T ( t − d ( t ) ) Q 7 e ˙ ( t − d ( t ) ) . − ∫ t − τ ¯ t e ˙ T ( s ) Q 3 e ˙ ( s ) d s = − ∫ t − τ ( t ) t e ˙ T ( s ) Q 3 e ˙ ( s ) d s − ∫ t − τ ¯ t − τ ( t ) e ˙ T ( s ) Q 3 e ˙ ( s ) d s .
− ∫ t − h ( t ) t − α h ( t ) e ˙ T ( s ) Q 2 e ˙ ( s ) d s ≤ − 2 e T ( t − α h ( t ) ) Q 2 e ( t − h ( t ) ) − ∫ t − h ( t ) t − α h ( t ) e ˙ T ( s ) Q 2 e ˙ ( s ) d s ≤ + e T ( t − h ( t ) ) Q 2 e ( t − h ( t ) ) ] , − ∫ t − h ¯ t − h ( t ) e ˙ T ( s ) Q 2 e ˙ ( s ) d s ≤ − ( h ¯ ) − 1 [ ∫ t − h ¯ t − h ( t ) e ˙ ( s ) d s ] T Q 2 [ ∫ t − h ¯ t − h ( t ) e ˙ ( s ) d s ] − ∫ t − h ¯ t − h ( t ) e ˙ T ( s ) Q 2 e ˙ ( s ) d s ≤ − ( h ¯ ) − 1 [ e ( t − h ( t ) ) − e ( t − h ¯ ) ] T − ∫ t − h ¯ t − h ( t ) e ˙ T ( s ) Q 2 e ˙ ( s ) d s ≤ × Q 2 [ e ( t − h ( t ) ) − e ( t − h ¯ ) ] − ∫ t − h ¯ t − h ( t ) e ˙ T ( s ) Q 2 e ˙ ( s ) d s = − ( h ¯ ) − 1 [ e T ( t − h ( t ) ) Q 2 e ( t − h ( t ) ) − ∫ t − h ¯ t − h ( t ) e ˙ T ( s ) Q 2 e ˙ ( s ) d s ≤ − 2 e T ( t − h ( t ) ) Q 2 e ( t − h ¯ ) + e T ( t − h ¯ ) Q 2 e ( t − h ¯ ) ] , − ∫ t − τ ( t ) t e ˙ T ( s ) Q 3 e ˙ ( s ) d s ≤ − 1 τ ( t ) [ ∫ t − τ ( t ) t e ˙ ( s ) d s ] T Q 3 [ ∫ t − τ ( t ) t e ˙ ( s ) d s ] − ∫ t − τ ( t ) t e ˙ T ( s ) Q 3 e ˙ ( s ) d s ≤ − 1 τ ¯ [ e ( t ) − e ( t − τ ( t ) ) ] T Q 3 [ e ( t ) − e ( t − τ ( t ) ) ] − ∫ t − τ ( t ) t e ˙ T ( s ) Q 3 e ˙ ( s ) d s = − 1 τ ¯ [ e T ( t ) Q 3 e ( t ) − 2 e T ( t ) Q 3 e ( t − τ ( t ) ) − ∫ t − τ ( t ) t e ˙ T ( s ) Q 3 e ˙ ( s ) d s ≤ + e T ( t − τ ( t ) ) Q 3 e ( t − τ ( t ) ) ] , − ∫ t − τ ¯ t − τ ( t ) e ˙ T ( s ) Q 3 e ˙ ( s ) d s ≤ − 1 τ ¯ [ e ( t − τ ( t ) ) − e ( t − τ ¯ ) ] T Q 3 [ e ( t − τ ( t ) ) − e ( t − τ ¯ ) ] − ∫ t − τ ¯ t − τ ( t ) e ˙ T ( s ) Q 3 e ˙ ( s ) d s = − 1 τ ¯ [ e T ( t − τ ( t ) ) Q 3 e ( t − τ ( t ) ) − 2 e T ( t − τ ( t ) ) Q 3 e ( t − τ ¯ ) − ∫ t − τ ¯ t − τ ( t ) e ˙ T ( s ) Q 3 e ˙ ( s ) d s ≤ + e T ( t − τ ¯ ) Q 3 e ( t − τ ¯ ) ] . β 1 [ e T ( t ) F T F e ( t ) − ϕ T ( t ) ϕ ( t ) ] ≥ 0 , β 2 [ e T ( t − h ( t ) ) G T G e ( t − h ( t ) ) − φ T ( t − h ( t ) ) φ ( t − h ( t ) ) ] ≥ 0 . V ˙ = ∑ i = 1 8 V ˙ i ≤ e T ( t ) [ − P A − A T P + Q 1 + Q 5 + Q 6 + G T Q 4 G − 1 τ ¯ Q 3 − ( α h ¯ ) − 1 Q 2 + β 1 F T F ] e ( t ) + 2 e T ( t ) [ − P K C + 1 τ ¯ Q 3 ] e ( t − τ ( t ) ) − e T ( t − τ ( t ) ) [ 2 τ ¯ Q 3 ] e ( t − τ ( t ) ) + 2 e T ( t ) [ P V ] e ˙ ( t − d ( t ) ) − e ˙ T ( t − d ( t ) ) [ ( 1 − d D ) Q 7 ] e ˙ ( t − d ( t ) ) + 2 e T ( t ) [ P W 0 ] ϕ ( t ) − ϕ T ( t ) [ β 1 I ] ϕ ( t ) + 2 e T ( t ) [ P W 1 ] φ ( t − h ( t ) ) − φ T ( t − h ( t ) ) [ ( 1 − h D ) Q 4 + β 2 I ] φ ( t − h ( t ) ) + 2 e T ( t ) [ ( α h ¯ ) − 1 Q 2 ] e ( t − α h ( t ) ) − e T ( t − α h ( t ) ) [ ( 1 − α h D ) Q 1 + ( h ¯ − α h ¯ ) − 1 Q 2 + ( α h ¯ ) − 1 Q 2 ] e ( t − α h ( t ) ) + 2 e T ( t − τ ( t ) ) [ 1 τ ¯ Q 3 ] e ( t − τ ¯ ) − e T ( t − τ ¯ ) [ 1 τ ¯ Q 3 ] e ( t − τ ¯ ) + 2 e T ( t − α h ( t ) ) [ ( h ¯ − α h ¯ ) − 1 Q 2 ] e ( t − h ( t ) ) − e T ( t − h ( t ) ) [ ( 1 − h D ) Q 5 + ( h ¯ − α h ¯ ) − 1 Q 2 + ( h ¯ ) − 1 Q 2 + β 2 G T G ] e ( t − h ( t ) ) + 2 e T ( t − h ( t ) ) [ h ¯ − 1 Q 2 ] e ( t − h ¯ ) − e T ( t − h ¯ ) [ h ¯ − 1 Q 2 + Q 6 ] e ( t − h ¯ ) + e ˙ T ( t ) [ h ¯ Q 2 + τ ¯ Q 3 + Q 7 ] e ˙ ( t ) . Let ϒ = [ − A − K C 0 0 0 0 V W 0 W 1 ] , and η T ( t ) = [ e T ( t ) e T ( t − τ ( t ) ) e T ( t − τ ¯ ) e T ( t − h ( t ) ) e T ( t − h ¯ ) e T ( t − α h ( t ) ) e ˙ T ( t − d ( t ) ) ϕ T ( t ) φ T ( t − h ( t ) ) ] . From (6), we have e ˙ ( t ) = ϒ η ( t ) . e ˙ T ( t ) [ h ¯ Q 2 + τ ¯ Q 3 + Q 7 ] e ˙ ( t ) = η T ( t ) [ ϒ T ( h ¯ Q 2 + τ ¯ Q 3 + Q 7 ) ϒ ] η ( t ) . where Λ 1 can be seen from Theorem 1. Λ 6 = [ h ¯ P T Q 2 − 1 P 0 0 ∗ τ ¯ P T Q 3 − 1 P 0 ∗ ∗ P T Q 7 − 1 P ] . Λ 4 T = [ − h ¯ A T Q 2 − τ ¯ A T Q 3 − A T Q 7 − h ¯ ( K C ) T Q 2 − τ ¯ ( K C ) T Q 3 − ( K C ) T Q 7 0 0 0 0 0 0 0 0 0 0 0 0 h ¯ V T Q 2 τ ¯ V T Q 3 V T Q 7 h ¯ W 0 T Q 2 τ ¯ W 0 T Q 3 W 0 T Q 7 h ¯ W 1 T Q 2 τ ¯ W 1 T Q 3 W 1 T Q 7 ] , Λ 5 = [ h ¯ Q 2 0 0 ∗ τ ¯ Q 3 0 ∗ ∗ Q 7 ] . Remark 1 In the paper, the controller u ( t ) = K [ y ( t k ) − y ˆ ( t k ) ] is designed by the sampled data, which needs less information from the network outputs than the controller in [16, 17]. The sampled-data estimation approach can lead to a significant reduction of the information communication burden in the network and save more computing cost. To this end, the sampled-data estimation problem has been solved and the desired estimator can be designed by Theorem 1. In the next section, the effectiveness of the developed sampled-data estimation approach for the neural network of neutral type is shown by a numerical example. In this section, a numerical example with simulation results is employed to demonstrate the effectiveness of the proposed method. A = [ 3 0 0 0 2 0 0 0 5 ] , W 0 = [ 0.3 − 0.1 0 0.1 0.4 − 0.2 − 0.2 0.1 0.2 ] , W 1 = [ 0.1 1 0.2 − 0.1 0.3 − 0.1 − 0.2 0.1 0.2 ] , V = [ 0.1 − 0.05 0.05 0.05 0.1 − 0.05 0.05 0.1 0.1 ] , J = [ 2 sin ( π t ) + 0.03 t 2 − sin ( 4 t ) − 0.04 t 2 1.5 cos ( 4 t ) + 0.01 t 2 ] , C = I , f ( x ) = 0.5 tanh ( x ) , g ( x ( t − h ( t ) ) ) = 0.4 tanh ( x ( t − h ( t ) ) ) , x ( 0 ) = [ − 1.5 1 − 1.5 ] T , h ( t ) = 0.36 ( 1 − sin ( t ) ) , d ( t ) = 0.25 ( 1 − sin ( t ) ) , τ ¯ = 0.05 , α = 0.5 . P = [ 22.5358 − 1.1052 0.0140 − 1.1052 32.2373 0.6453 0.0140 0.6453 14.9831 ] , Q 1 = [ 8.4845 − 0.0169 − 0.0747 − 0.0169 10.5790 0.1719 − 0.0747 0.1719 5.6045 ] , Q 2 = [ 15.2407 − 0.6559 − 0.1345 − 0.6559 19.8115 0.2071 − 0.1345 0.2071 11.4000 ] , Q 3 = [ 18.3501 − 0.1527 0.1320 − 0.1527 19.0875 0.0926 0.1320 0.0926 16.9542 ] , Q 4 = [ 11.8617 0.2203 0.0955 0.2203 18.7959 1.1519 0.0955 1.1519 9.2649 ] , Q 5 = [ 6.8482 − 0.0052 − 0.0725 − 0.0052 9.5406 0.1891 − 0.0725 0.1891 3.8875 ] , Q 6 = [ 8.3328 − 0.0359 − 0.0743 − 0.0359 10.8433 0.1788 − 0.0743 0.1788 5.4375 ] , Q 7 = [ 6.1224 − 0.3327 0.1054 − 0.3327 10.1217 − 0.1539 0.1054 − 0.1539 4.1545 ] , X = [ − 29.6833 0.2433 − 0.3916 0.2433 − 15.3925 0.9746 − 0.3916 0.9746 − 53.1328 ] , β 1 = 18.9090 , β 2 = 23.3269 . K = P − 1 X = [ − 1.3190 − 0.0128 − 0.0102 − 0.0372 − 0.4796 0.1009 − 0.0233 0.0857 − 3.5505 ] . The simulation results are shown in Figures 1 and 2. It is easy to find that the responses of the state estimators track to true states very quickly. The true state x ( t ) and its estimate x ˆ ( t ) . The error of the true state x ( t ) and its estimate x ˆ ( t ) . In this paper, the sampled-data state estimation has been investigated for a class of neural networks of neutral type. By employing a Lyapunov functional, a delay-dependent condition is established to guarantee the existence of the desired state estimator. The feasible solution can be obtained easily by Matlab LMI toolbox. In the end, the numerical example is given to show the effectiveness of the proposed estimator. This work can be extended to the state estimation problem of general systems. This will be done in the near future. This work was jointly supported by the National Natural Science Foundation of China under Grant 60875036, the Foundation of Key Laboratory of Advanced Process Control for Light Industry (Jiangnan University), Ministry of Education, P.R. China the Fundamental Research Funds for the Central Universities (JUSRP51317B, JUDCF13042). CY carried out the main results of this paper and drafted the manuscript. YY directed the study and helped to inspect the manuscript. All authors read and approved the final manuscript.